“This and nothing else” A Redbull presentation. Photo: Alex nearly losing his life and limbs as he dives for the deep. Redbull’s surf series on Big Wave Riders. This ones on Alex Martins at Mavericks. You’ve seen Alex Martins before. You just don’t realize that you’ve seen Alex Martins before. Alex moved to Northern California from Brazil over 20 years ago. When he arrived, his mind was far from the sea – Alex was focused on work, on prosperity, on establishing a new and better life for himself. But as is the case with any waterman, the ocean eventually crept back into his mind. In a very big way. Alex’s new home in Northern California put him right next to America’s scariest wave: Maverick’s. And who was Alex to say no? 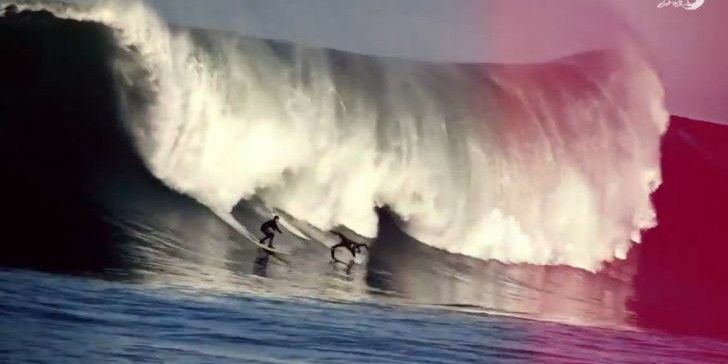 In This And Nothing Else, Alex explains his infatuation with Half Moon Bay’s jolly brown giant and details his trajectory from being in a foreign land with nothing, to experiencing success in both life and conquering big waves.